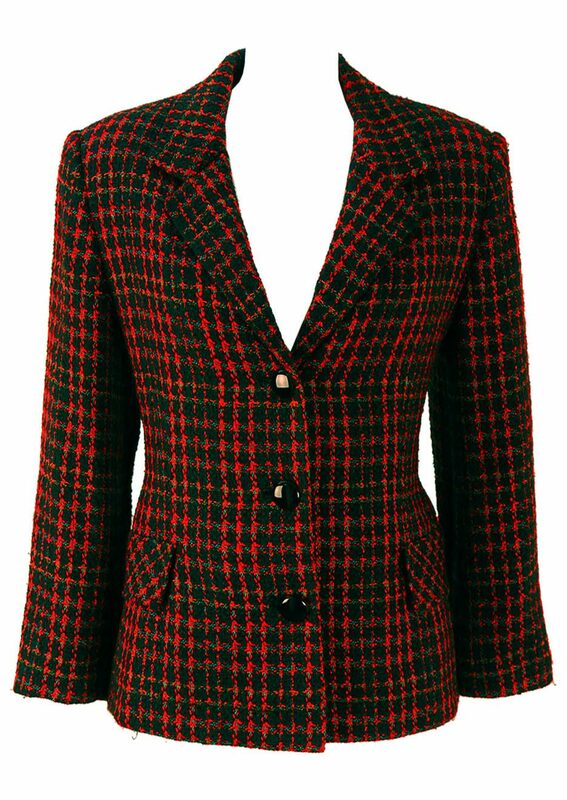 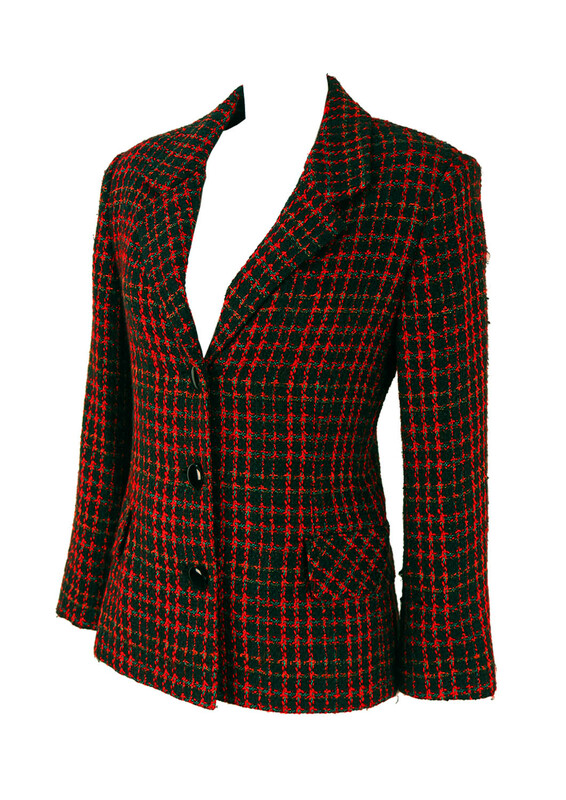 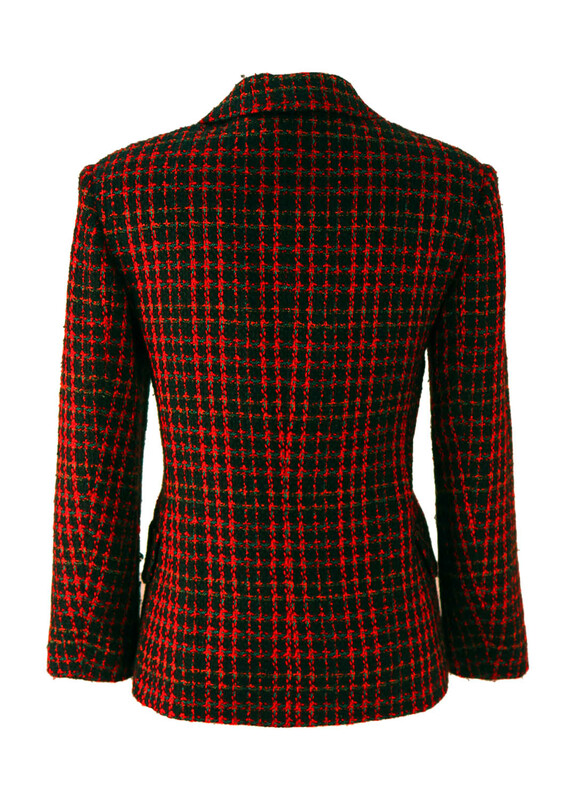 Basile jacket in black with a vibrant multicolour check in red, turquoise and orange. 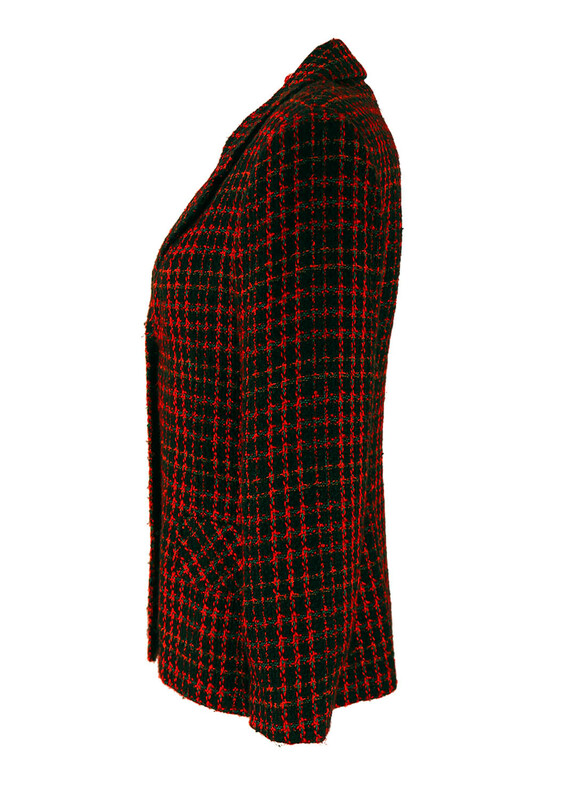 The jacket is fully lined in black and has 3 high gloss black buttons for extra design stand out. 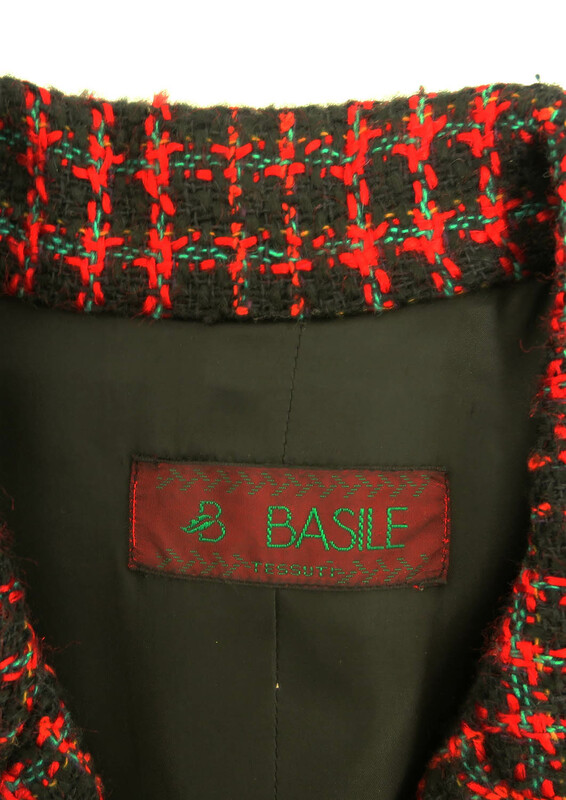 Though there is no fabric label, the jacket has a wool or part wool feel to it.